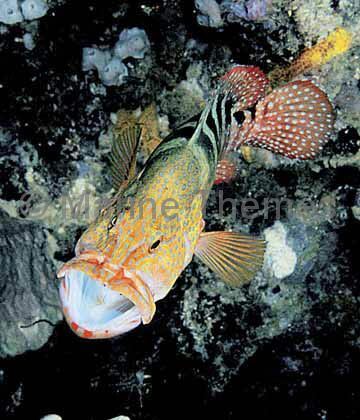 Sixspot Rockcod (Cephalopholis sexmaculata) being attended by cleaner shrimp. 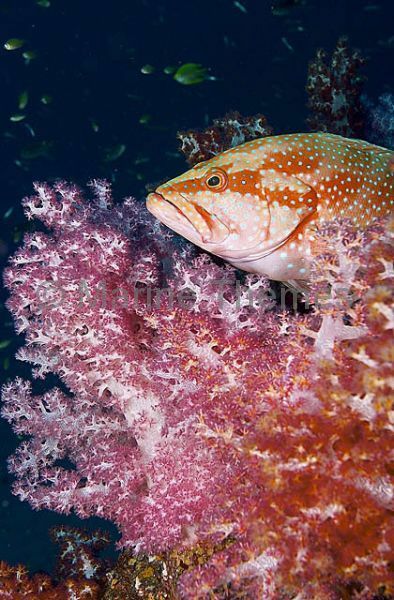 Sixspot Rockcod (Cephalopholis sexmaculata) on reef with tube sponges. 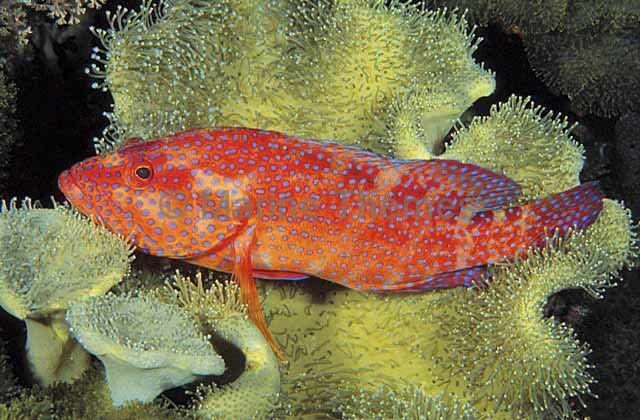 Sixspot Rockcod (Cephalopholis sexmaculata) watching for passing prey from on top of Dendronephthya Soft Coral. 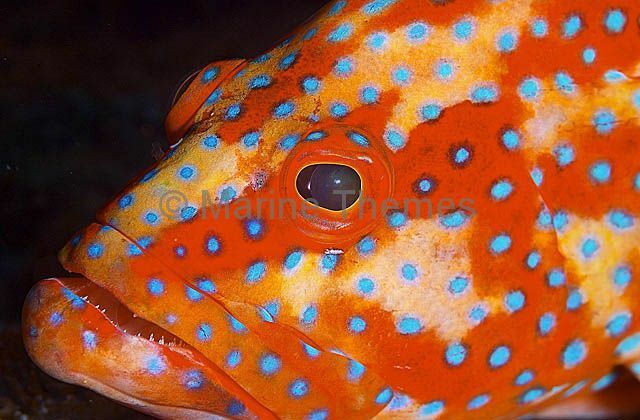 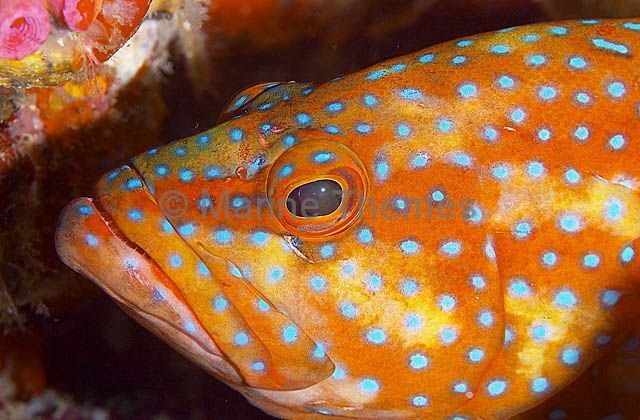 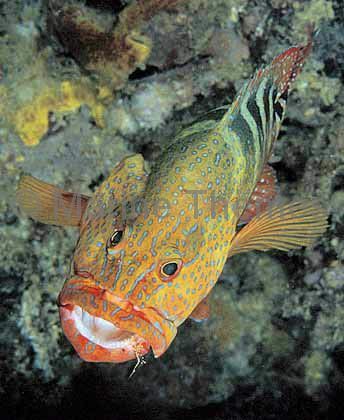 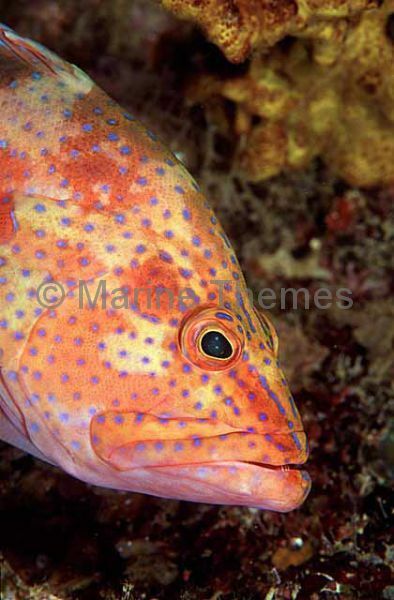 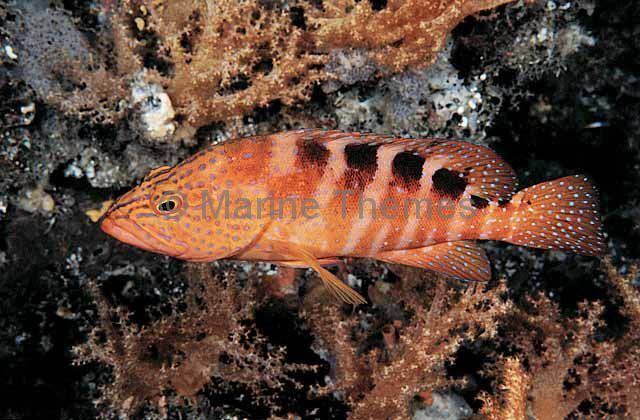 Sixspot Rockcod (Cephalopholis sexmaculata) portrait. 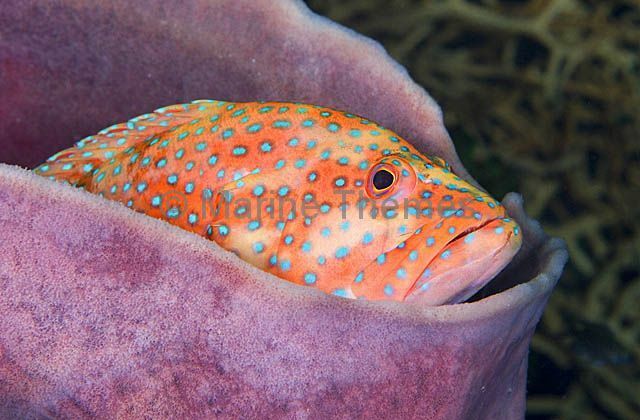 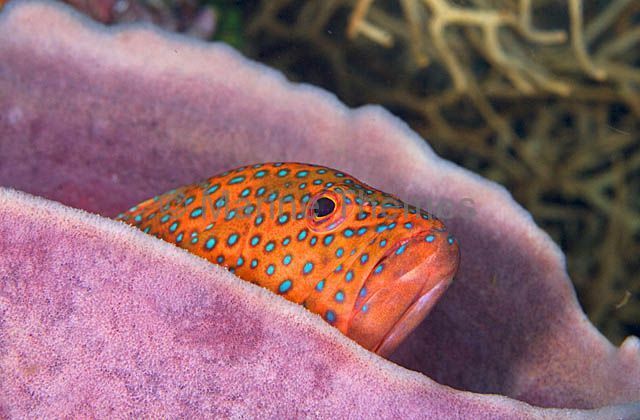 Sixspot Rockcod (Cephalopholis sexmaculata) resting in sponge.